Casumo has been one of my favorite NetEnt casinos from their start. And they have been improving the casino from the beginning. Adding new games, new software providers and speeding up their withdrawal time. Now they have added another great feature. 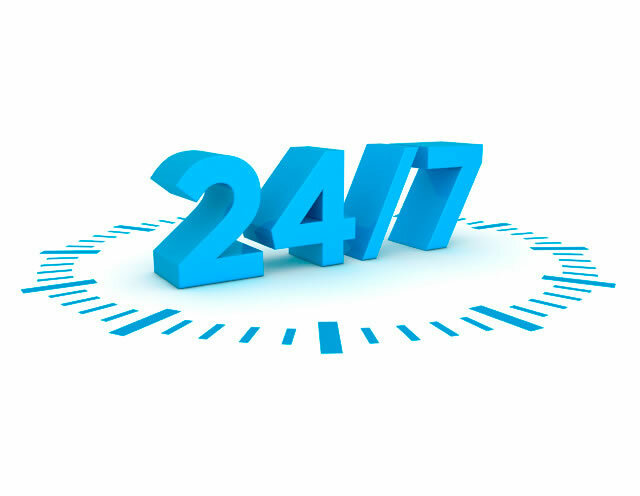 Their live support team is now available 24/7. So every day of the year, all day long, you are able to chat with a customer support member via live chat on the Casumo website. I think this is a great added feature, nothing more frustrating than having a question and having to wait until the next day to get an answer, Great job Casumo! If you are unfamiliar with Casumo, I suggest checking them out now. This online casino does not only offer games from NetEnt, but also games from Williams Interactive, Novomatic and Thunderkick. They are even Thunderkick’s flagship, so new Thunderkick slot releases are available at Casumo first. And Novomatic is also pretty rare at online casinos and the most popular software in German land-based casinos. Casumo treats all their players very well. With several promotions each week, including no deposit free spins to try out games. And monthly Casumo challenges with amazing prizes and a lot of free cash. It is always good to have an account at Casumo so you don’t miss out on anything. Casumo is also a unique online casino, they call themselves a casino adventure and I suggest you go see for yourself why that is. Are you talking about Casumo? Did you click the valuable before making the deposit? I have self excluded myself once a while ago. I just contacted live chat en they did it right away, no troubles. Did you try to contact live chat? Did you restart the game? Or else contact support and ask them. Sorry the bonuses aren’t clear to you. Bonuses need to be wagered before they become real money. And Casumo still lets you withdrawal part of your winnings, some casinos won’t let you withdrawal anything. If you keep playing you will notice the amount you can withdrawal increases, or you can even wager the bonus in total and you can keep all winnings. Please contact support at the Casumo website. Was offered 30 free spins on prissy princess if 10 pounds deposited..deposited £10 no spins received.? Please contact Casumo support to see what might have happened. If you don’t get any responds or answer, than contact me again. Please contact Casumo support first. If you mean from Casumo to a wallet like Skrill or Neteller? Most of the time this will only take up to 24 hours or less. After verification of course. 200% einzahlbonus ? AM ARSCH ich werde das mal twittern das mann 50 euro aufläd und nur insgesammt 100euro hat eine frechheit volle abzocke ein no go diese seite! Please respond in English. Did you deposit €50,- and receive a €100,- bonus? Please contact Casumo support, not me. How long do I have to wait for reply? Use the live chat option on their website. Should be someone there to help you. Have you recieved my verification docs? Iv been trying to help a frind sort an account they set up but nobody seems to want to help . Can’t Casumo really be this hard up to not want to fix this problem r someting. ? You have to contact Casumo support. I am not from Casumo. Use their live chat please. You can’t withdrawal bonus money, you have to wager it until it becomes cash balance. Please contact Casumo support. I am not from Casumo. Hi it wot let me withdraw any money it say they need things I have give them my passport details could you help me . It can take some time to verify. Please be patient and contact them if you think it takes too long. Been trying to withdraw a lot of money but Casumo keep cancelling it and not giving me any reason why! Not happy at all but they can take your straight away it’s really not fair all. There is no contact number to ring! You can contact them by live chat on their website. If you put 20,00 in, you should have gotten 20,00 in bonus money, there is a 100% deposit bonus. Contact their support and ask for the bonus. Just reply their email with a copy of your ID and usually a recent bill or something with your address. Please contact Casumo support via live chat. I am not sure, you better contact Casumo directly.